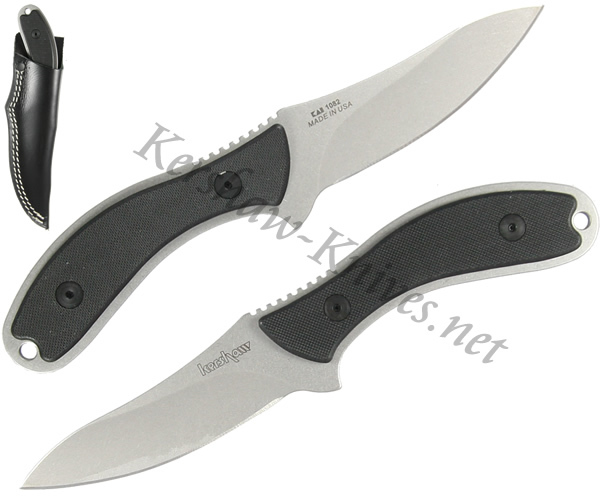 The Kershaw Field knife model 1082 is part of the American Made Hunters line. This full tang fixed blade knife is constructed of Sandvik 14C28N steel. The handle has G10 scales for a user-friendly gripping surface. This is one highly functional knife that you are going to want in your camping gear for years to come. Use it for a wide variety of chores around the campsite such as preparing meals, dressing game, or cutting rope to name a few.